The real estate business is a very profitable venture as smart investments on properties can produce extremely rewarding results. However, it is not as simple as it may sound, you will have to do through researches on different properties in limited time or else someone else will take the property. Investment dealings require a lot of thinking and patience before any decision. If you are looking to start real estate investing, here are a few tips on how to choose the best properties. Just before you begin to look for good properties; it is important that your finances can cover your investments. Jumping straight into an investment opportunity no matter how good, is not a very smart move, so make your investment in a way that you have a secure fund. The funds should substantial enough to help you see through difficult situations such as the bidding wars. Another important fact to be remembered is that investing is not the same as gambling; make sure you only invest money that will not hurt your finances too badly, if the investment is lost. A useful insight to investing in real estate is to buy properties whose market values are below listings. After the purchase make a few relatively minor renovations to them presentable. Once that is done, sell or lease the properties out. These small renovations help improve the market value and thus you gain profit from this investment. Although you can find some decent foreclosure deals through real estate agents, lender or visiting the county courthouses, but these are meetings are frustratingly long and hectic as you will have to wait around hours listening and locating the best foreclosure deals in the country, which is why it is best to keep an open mind for foreclosure listing services as it is less time consuming, well organized and fast. The best way to become a good real estate investor, it is best to start as soon as possible. 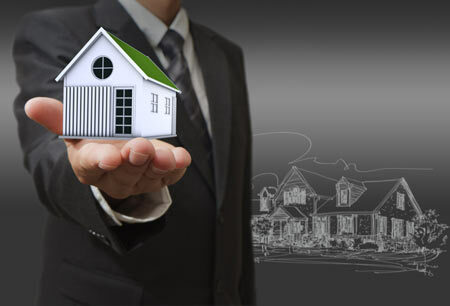 People have complained on many occasions about not getting into this property investing business sooner and they are correct as real estate investments are highly profitable and rewarding. Showing full commitment and focus on real estate investments, people have quickly changed it from a side job to full time business venture since the end results more often than not are very satisfying. However, starting as soon as possible is crucial to success because if you stall for some time and not take it seriously, you can lose a lot of money very quickly.